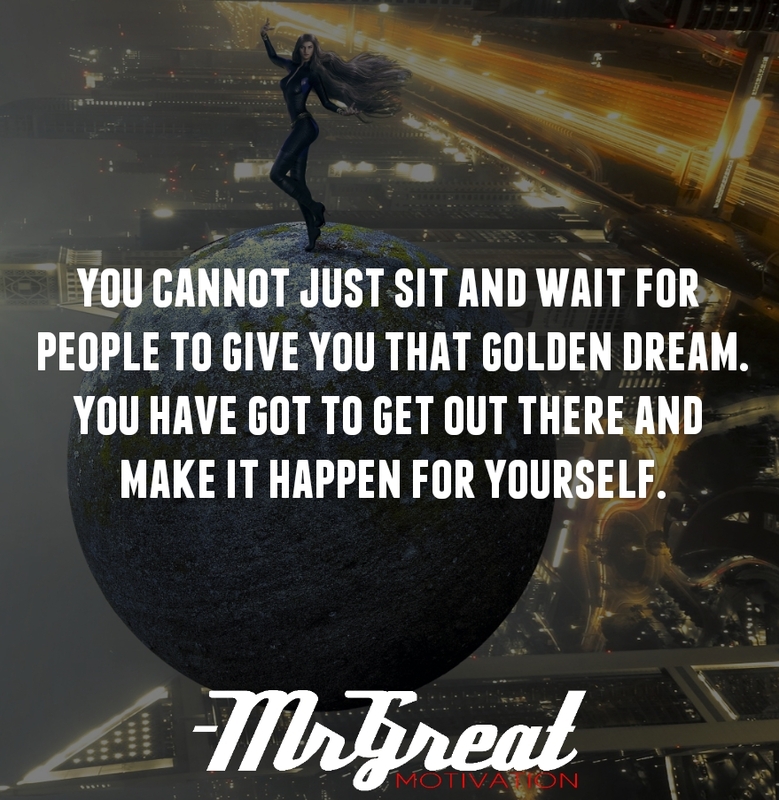 You cannot just sit and wait for people to give you that golden dream. 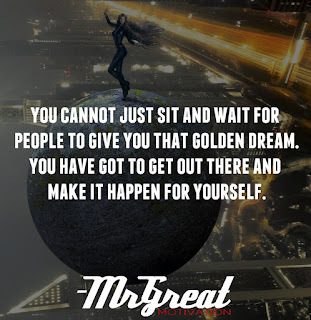 You have got to get out there and make it happen for yourself. We usually think we need other people to make our dreams happen. We believe that we need help from someone else, or that we need to be discovered by someone who will lift us up for the world to see.We always need advice to create something long-lasting and great for ourselves. If our dreams are small, we will miss many things in life. We will miss them not because they are out of our reach, but because our limiting assumptions stop us from relinquishing them. Other people, no matter who it is, will never have the same fire and passion, motivation within as we do for our dream. No one else will have the same amount of drive or enthusiasm, motivation and they will never understand your personal reasons for the dreams you are chasing. Don’t think about how big the challenge is. Instead, just make sure that you move at least one step forward every day. If you are consistent, you will make significant progress over time. So you need to get up on your feet and get out there yourself. Make all the things you wish for happen. Work for it, strive towards it and reap the full benefits once you actually get there. That’s the moment we can then share with the people around us. Do it now. Make it happened. Stay Motivated.